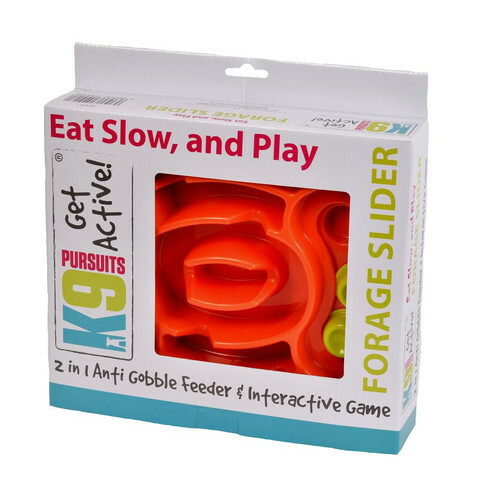 The K9 Pursuits 'Get Active' range brings the first of its kind Forage Slider 2 in1 Anti Gobble Slow Feeder and Interactive Game. 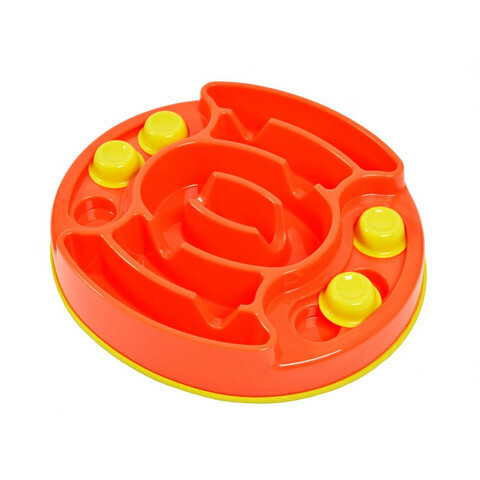 For meal times, it has been designed as a practical slow feeding bowl which prevents your dog from gobbling and rushing their food therefore easing reflux, indigestion and bloat. For fun times to be used as boredom breaker and play. The Forage Slider has an added section on each side with apertures that are covered by cups that need to be nudged away to reveal their hidden yummy treasures making it even more of a challenge. 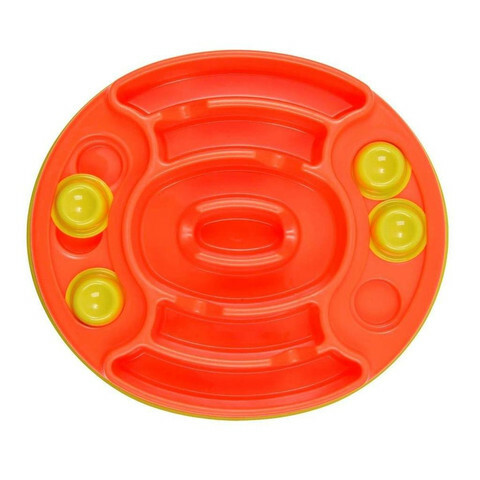 Brought to you in fabulous Orange and Lemon colours, K9 Pursuits 'Get Active' the Forage Slider has an Anti-Skid base and is Dishwasher Proof, BPA, PVC and Phthalate free. Suitable for wet and dry foods, dogs or cats. A great combo game-feeder! Size: 7cm x 27cm x 31cm.